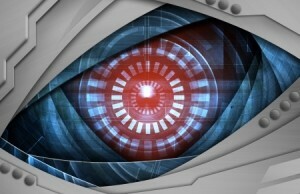 Are Your Gadgets Spying on You? With so many gadgets at our disposal these days, we often take for granted the security and privacy that they seem to provide. However, there are plenty of people out there who wish to take advantage of your complacency and use it as a weapon against you. Some only wish to gain access to your financial information, while others may be snooping around for worse reasons. Regardless, being proactive and understanding what can happen is valuable in making sure that it doesn’t. Below are several examples in which someone can use one of your gadgets against you to snoop, pry and collect information against your will. The latest smart televisions on the market now have webcams built directly into them as a method of convenience. If your television has a webcam and is connected to the internet, it is liable just as much as any other device when it comes to being usable as a camera directly into your home. Smart televisions that allow you to install applications are the number one target, as this is the easiest way in which to introduce malware that allows the television’s controls to be commandeered. Hackers are pinging networks with smart televisions in homes every single day – and most owners don’t know it. While certain smartphones are less susceptible to prying eyes because of the platform on which they run (Apple), many people are vulnerable when not using good judgment. Are you the type of person that downloads app after app, with little concern except when your phone’s storage is full? This sort of behaviour can lead to people gaining access to both your webcam and location; some applications on open source platforms such as Android are developed solely to gain access to the smartphones they infect. Once the app is authorized to use the camera or any other elements of the phone, they can be taken advantage of at will. The motion sensors included on many smartphones can be used against you as well. If malicious applications or software is pinging networks you are on, they can be used to activate motion sensors and actually determine what you are typing on a nearby desktop computer. There are programs that can take the collected data and provide more than 75% accuracy rate as to what was typed, potentially revealing passwords and other sensitive information. Also, be sure to remember: anything with a camera and an internet connection can be utilized to spy on you if there is malicious software installed on the device. In many cases, the software does not appear to be malicious and individuals can go long periods of time without noticing anything is wrong. The biggest part of being safe is being aware. When you understand just how hackers and spies can use your technology against you, better decisions and safeguards are made to ensure that these actions’ occurrences are as low as possible. Always be critical of what apps receive authorization to your devices and discontinue internet usage when not necessary – these actions will virtually eliminate the chances that your gadgets are being used against you. Is Your WordPress Blog Secure? Was BlackBerry’s CEO Right When He Said Tablets Will Be Dead in Five Years? Are You Creating a Talent Shortage in Your Business?